Fleas are parasites who feed by sucking blood from their host – your cat, dog, bird, bunny or YOU. They have adapted well to this purpose – flattened bodies to move through fur, feathers or clothing, strong claws to hold onto their host, a tough outer body that withstands attempts to eliminate them by scratching or squashing, and mouthparts evolved for piercing skin and sucking blood. They have no wings yet are able to leap about 50 times the length of their body. This allows them to hitch a ride on a passing animal (or you!) Fleas are one of the most dreaded household pests because they cause distress, disease and doctor bills. Distress: Flea bites cause an intense itching sensation that can irritate for days. The distress your pet feels when infested with fleas can be heartbreaking. Doctor bills: In the U.S., billions are spent annually on flea-related veterinary care, flea treatments at groomers and flea treatment prescriptions. Fleas multiply rapidly. Treatment of your pet, home and yard should begin as early into the infestation as possible. If beginning stages are ignored, the problem can quickly spin out of control. Do you have fleas but no pet? You may have an infected feral cat, raccoon, opossum, skunk, rat or squirrel in your attic, chimney or crawlspace. (If so, you should ask for a free Safe Pro Pest rodent inspection.) Our quarterly pest control service will keep fleas under control in your yard and home. Call for plans and pricing. Luca Massimo Cantaboni has arrived! 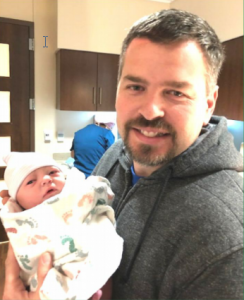 7:33 am on March 13, 2019, 8.4 pounds, 19.5 inches, Healthy and loved!! All the pest control services are NOT created equal. Some companies and the technicians that work for them may be unprofessional, untrained and unequipped to efficiently exterminate rats. If any technician recommends “sanitization” or removing insulation (very expensive procedures! ), get a second opinion. Sanitization is only done if absolutely necessary. Removing all the insulation is reserved only for extreme situations. In most cases, a basic service is sufficient. When asking for advice on eradicating a rat infestation, be cautious of recommendations that rely heavily on tapping into your fears. Your specific situation needs to be properly assessed. 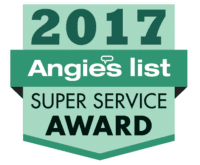 Ask questions about why the service needs to be performed, especially if a technician jumps right to expensive solutions after a quick inspection.There is a reason Safe Pro Pest Control has been chosen eight years in a row as the Angie’s list award winner for pest control in the Dallas/Fort Worth Metroplex. Let’s take a closer look at what makes Safe Pro Pest Control the #1 voted rat extermination service eight years in a row. Their technicians arrive late, if ever. Most pest control companies perform a quick, half-done inspection, usually less than fifteen minutes. Their inspection don't include going on the roof. Many companies use subcontractors, increasing the likelihood of your inviting unscreened, unlicensed, non-bonded and uninsured technicians into your home. They make YOU check your attic rat traps and throw them out when rats have been caught. They recommend expensive treatments and warranties without even knowing the full story of your rat problem. Their 4-figure plans still requires you to do routine inspections yourself annually. They don’t guarantee their work unless you foot the bill. They fail to exterminate the rat problem or properly seal the new entrance points to your home which means rats continue to come and go as they please while increasing in number. Safe Pro Pest Control technicians arrive on time. Perform a complete, top-to-bottom inspection of your home or commercial property. Safe Pro has our own in-house, full-time employees that we've trained to be industry-leading extermination professionals. Each tenchician is fully insured, bonded and is covered by workers compensation insurance. Why is this important to you? We have insurance that protects you if there is a theft claim. 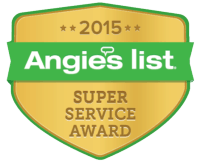 Our technicians wear shoe covers in your home at all times to prevent tracking gems and dirt into your house. We set snap traps using the perfect amount of rats’ favorite food. We put the bait boxes in the correct place to avoud enticing outside rats from coming inside. We completely repair any damaged areas of your house or commercial property, then seal any openings and possible future openings rats will likely make. We usually seal up all roof returns because it is common for rats to chew through roof returns that are currently undamaged. We use sheet metal, the only substance rats can’t chew through. We make all the repairs in the same visit. A minimum of 2 technician follow-up visits are included at no additional cost. Every 7 days we come back to inspect all rat-traps and remove as necessary. However, if you have a larger rat infestation, don’t worry because you never pay more! This ensures we’re doing our best job the first time around and gives you peace of mind. The prevention measures that you should do to keep pests away for good. And as a value added service, in the course of our inspection if we see a problem with your electrical, plumbing or HVAC systems, we’ll let you know and refer you to a professional who can fix it. If you hear scratching sounds above or below (or in walls!) or see droppings anywhere, get expert help fast before a lone invader becomes a colony. Your best defense against a rodent infestation is a thorough inspection of your home. If you don’t want or are unable to do a rodent inspection yourself, call us and we’ll do it absolutely FREE! 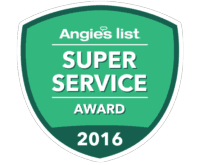 Call Safe Pro Pest Control at (214) 773-9548 to schedule a free inspection and evaluation. This means we’ll come to your home or commercial property within 24-48 hours at zero cost and zero obligation. Safe Pro Pest Control provides a risk-free experience for our customers. WE will evict rats, seal your home so they can’t come back in AND we do it all in the same day! And if -you call (214) 773-9548 before the end of this month, we’ll give you $50 off the Rodent Maintenance Service (if that service is needed. Mention this flyer to get the discount.) Also, we offer this optional Lifetime Warranty against any future re-infestation.